So cute. Happy Thanksgiving to you and yours. Thanks and back at you, Lavada. Hope you had a great one. OMG. I need that for my husband. 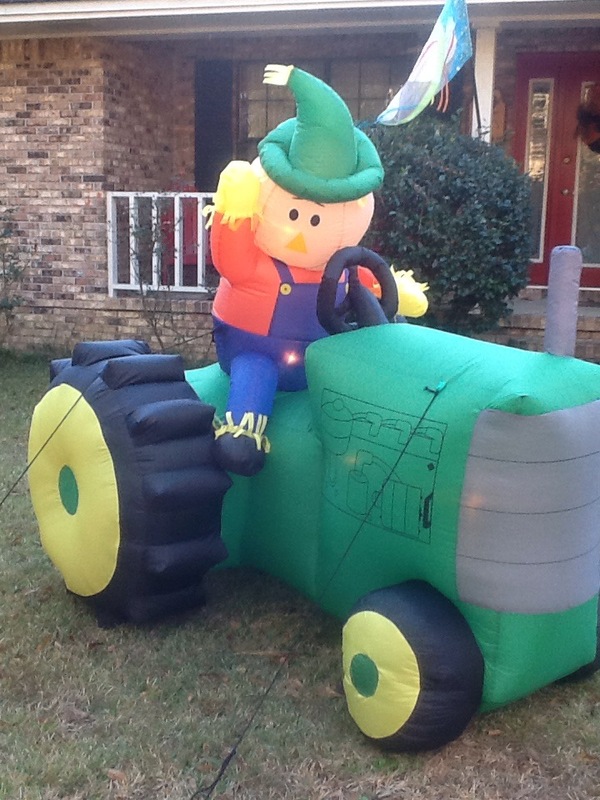 He’s Mr. John Deere reincarnated! That is hilarious. Is it in your yard? I hope you had a happy Tday, Jillian! Ours was great. 10 for dinner and one of those “no mishap” days. Lol I love that your husband loves his Deere. Lol. Yes, it is in my yard. I got it last year when the massive turkey we used to have out there broke his neck. We had a nice dinner, too. Only 7 of us but we enjoyed.